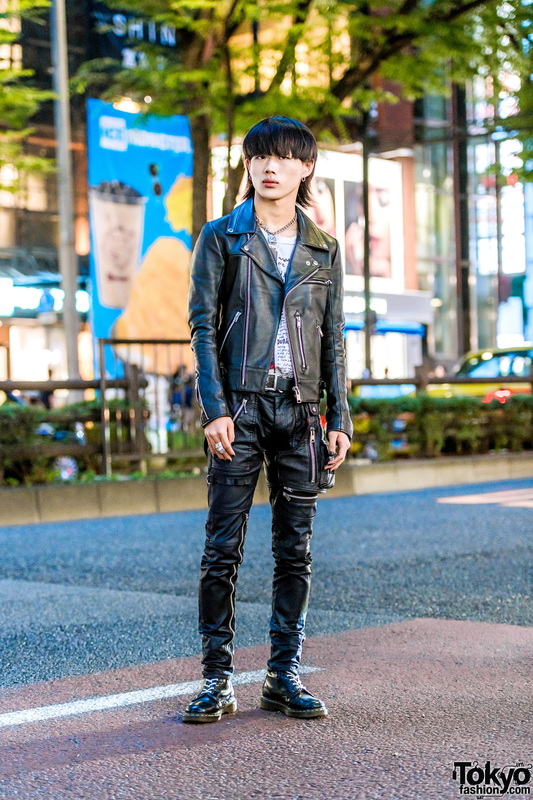 Fashion college student with punk-inspired street style in Harajuku. 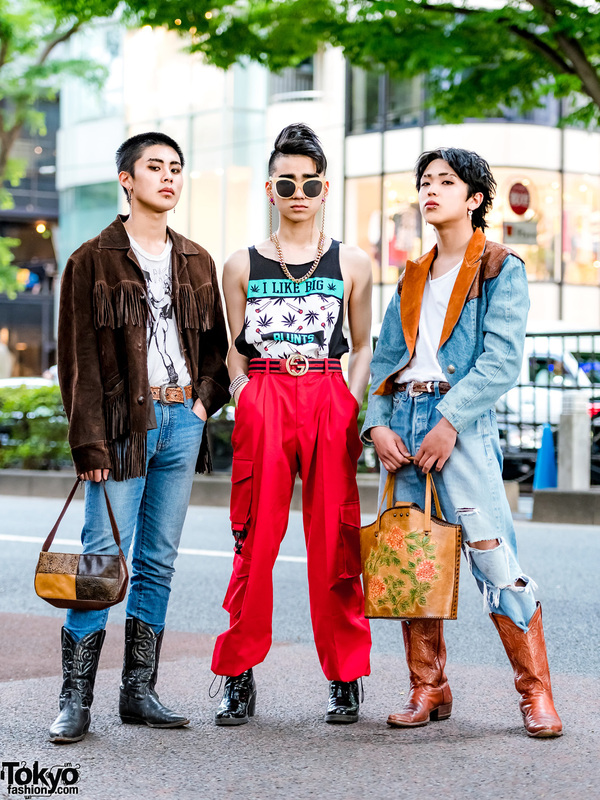 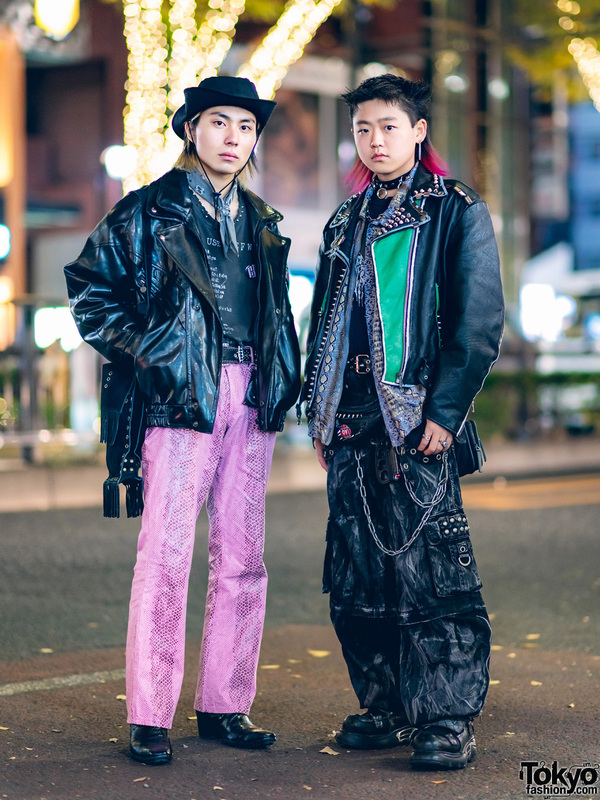 Harajuku students sporting eye-catching streetwear styles including fringe, denim, and cowboy boots. 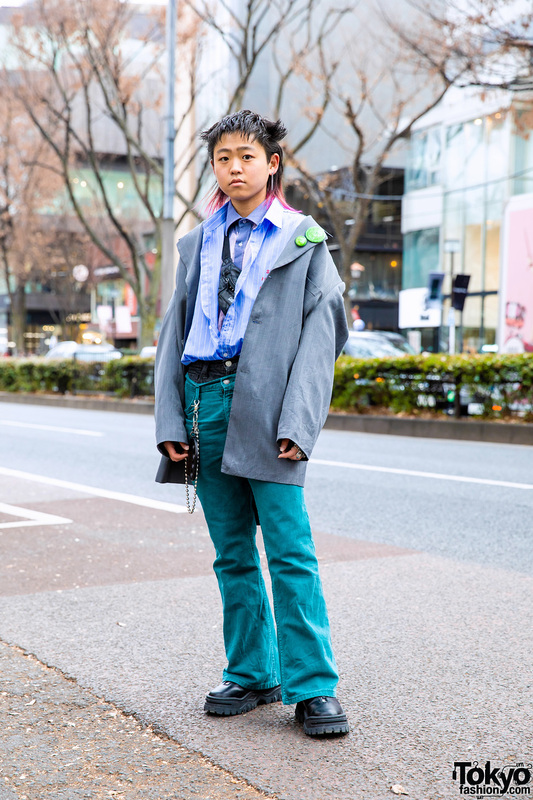 Japanese student in plaid suit while out and about in Harajuku.